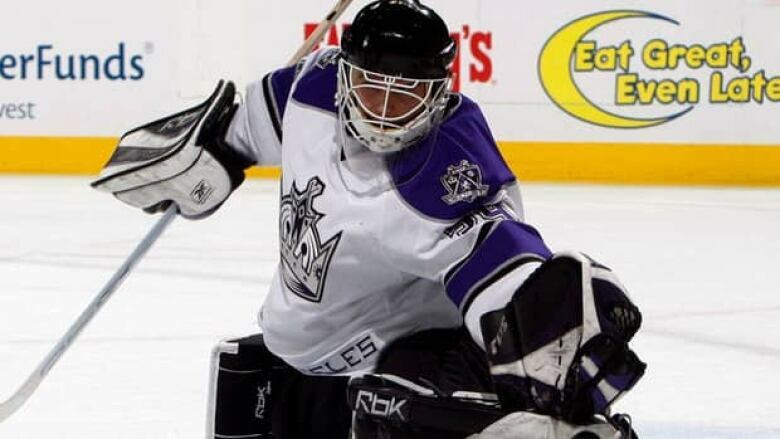 The Vancouver Canucks have hired former NHL goaltender Dan Cloutier as a goaltending consultant. Cloutier will join Vancouver's American Hockey League affiliate in Chicago for its training camp, which opens Wednesday. The Vancouver Canucks have hired former NHL goaltender Dan Cloutier as a goaltending consultant. Cloutier will join Vancouver's American Hockey League affiliate in Chicago for its training camp, which opens Wednesday. Cloutier spent 10 seasons in the NHL with the New York Rangers, Tampa Bay, Vancouver and Los Angeles. He posted a career record of 139-142-33 with 15 shutouts and a 2.77 goals against average. His most significant NHL stretch came in Vancouver. In five seasons with the Canucks, Cloutier appeared in 208 games with a record of 109-68-23, 14 shutouts and a 2.42 goals-against average. Cloutier served as a goaltending consultant with the Ontario Hockey League's Barrie Colts last season.